As United Methodist Christians, we believe that following Jesus is a matter of the mind and the heart. We express our faith in acts of piety (devotion to God) and mercy (justice for our neighbors). That means we do things like weekly worship, Bible Study, Sunday School, and prayer meeting to stay close to God’s heart. We also go out in service in hands on ways (like serving at the soup kitchen or collecting supplies for those in need) and give away a portion of our church funds called ministry shares to support schools, hospitals, and other means of blessing our neighbors. As United Methodists, we are part of global family of churches. There are about 8 million of us in the United States, and another 3.5 million brothers and sisters in other parts of the world. We are connected to lots of other churches and Christians in our region through the Susquehanna Annual (Regional) Conference, which has about 950 churches across Central and Northeastern Pennsylvania. You can learn more about our connection to the larger whole at our denominational web site. Together, we can do things in mission and ministry that no single congregation could accomplish. 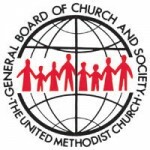 Here are just a few things we do because we are United Methodists connected to our denomination. We support the United Methodist Committee on Relief, which sends help whenever there are natural disasters or humanitarian crises at home or abroad. Locally, our churches have created Mission Central in Mechanicsburg, PA. They ship medical supplies, relief kits, school supplies, food and just about anything else that is needed to all points of the globe. This 1.5 acre warehouse is a great place to volunteer. We own the closest privately held building to Capitol Hill in Washington, D.C. which houses the Board of Church and Society. They advocate for social causes and are a voice of faith in our nation’s capital. In New York City, our Board of Global Missions is right across from the United Nations. That allows us to have an outreach that spans the globe. It’s amazing how supporting our little church on Chambers Hill can have an international outreach.